When the match was getting hot on Sunday the last person every Chelsea fan who want to see being substituted is Eden Hazard but however, he was withdrawn in the 73rd minute and replaced by Pedro. Many Fans question the decision and Chelsea goal stopper Thibaut Courtois has also come out to question the manager's decision. 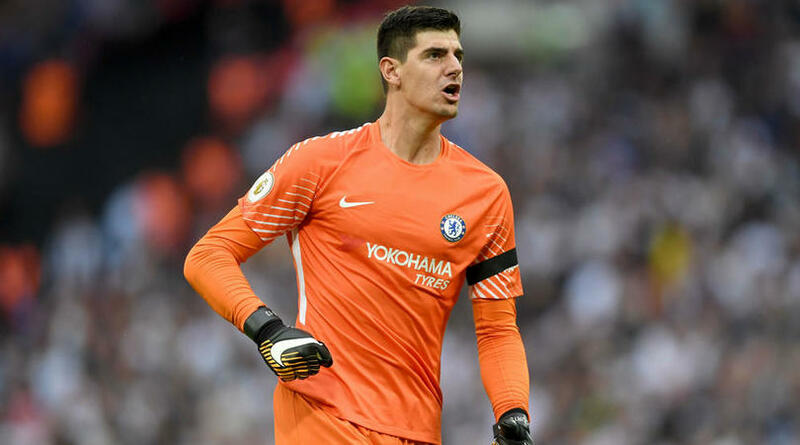 In an interview with Belgian outlet Play Sports, Courtois explained player like Eden Hazard should play 90 minutes and the coach must explain why he took him off. "I have no explanation for the substitution of Hazard, I had not expected him to take him off but it is a choice of the manager. He must explain. I can't look into his head." "Players like Eden should have 90 minutes on the pitch. He can always bring something extra offensive." The Chelsea goalkeeper continued by saying Chelsea should have won the match but they didn't do some small things which made them lose the game. "After our goal, we conceded a counter-attacking goal just like last Tuesday but in the second half we had less of the ball, he added. "But even then we should never have lost this match. If you do not do small things well in top matches, you lose, which is what happened."